It's the quieter, less flashy sister in the communications function that can be the silver bullet to building business acumen, having an influential voice, and inspiring strategic thinking. My friend and mentor, John Onoda, long ago instilled in me that good corporate communicators need to be business people first, communicators second. Not surprisingly, most executives say business acumen is the most important attribute in the ideal communications partner. But for communicators, figuring out how to deliver on that can sometimes be a real challenge. How does someone who’s a smart writer, project manager, and well-intentioned liberal arts major – that’s most of us, right? – immerse him or herself deeply enough in business dynamics to become the trusted, indispensable adviser we all strive to be? Most of us start with the traditional routes: align ourselves with the strategy team, become indispensable to leadership, make sure we’re ready to offer a point of view when invited to the table, etc. But that isn’t always enough. There’s more to really understanding the nuance of the business, to understanding the cultural norms of the team, to knowing how to get sh*t done. Thankfully, there is an often overlooked and underappreciated gem in our toolbox. It’s the quieter, less flashy sister in the communications function – internal or employee communications – that can be the silver bullet to building business acumen, having an influential voice, and inspiring strategic thinking that makes a real contribution to the business. As a profession, we give so much mindshare to external communications – whether it’s the competition between PR and advertising, emerging technologies and platforms, or an emphasis on who was recognized at Cannes – that we risk creating our own distorted reality and overlooking some of the work that’s most essential to business success. When a company faces major challenges and a critical business or policy decision, C-suite players aren’t looking for their communications partner to offer novelty or creativity for creativity’s sake; they’re looking for real business insight. Internal communications requires an enterprise-wide view, so it's this team that often has a broader view than anyone else. They have great, trusted relationships with execs. They’re often given the inside scoop on issues and challenges, making internal comms an early warning system that can help with long-term and crisis planning. Moreover, our role, in partnership with our colleagues in HR, in giving a voice to employee needs and wants should be recognized as both a privilege and obligation. We can be the conscience of the organization, the ones who speak brutal truth, and make sure that all voices – not just the loudest – are heard. A mature, integrated internal communications team can unlock immense value and be an essential voice on the leadership team. According to the Center for Third Space Thinking at the USC Annenberg School for Communication and Journalism, the most critical skills for future communications professionals will be 360-degree thinking, cultural competence, empathy, adaptability, and intellectual curiosity. And ensuring strong internal communications is perhaps the best way to develop that 360-degree point of view. For proof, just look at the rise of internal communicators to leadership positions, such as people like Jennifer Kuperman at Alibaba and Bill Chandler, who led communications at Gap Inc. for more than 10 years. After all, effective internal communications requires much more than most expect – it’s about building partnerships and securing the access and insights that enable us to fulfill the critical role of "super connector" in the organization. According to Arthur W. Page Society thought leadership work on the CCO, "What matters most is the CCO’s ability to drive cross-functional collaboration and integration around strategic priorities." Their emphasis is on the unique role communicators and CCOs play working enterprise-wide – aligning perspectives, thinking across silos, and driving toward more cohesive, impactful outcomes. And internal communications plays a critical role in that. Now don't get me wrong, I don't glamorize internal communications. Too often it requires time and attention on the mundane: organizational announcements, PowerPoint presentations, and administrative support. But if you pay close attention, all that day-to-day work enables a deeper understanding of the company’s nuances than the external team can develop as they move from announcement to announcement, project to project. Ultimately, it’s why I’m so excited about the emergence of the all-in-one communicator – individuals who go deep on all aspects of the business, then use that knowledge to communicate with all respective stakeholders inside and outside an organization. Long ago, I realized the hardest group of people to persuade is your colleagues. That’s what makes internal communications so daunting yet energizing. It’s much easier to educate and influence folks who have only a surface understanding of the content. But to write for your senior executives and colleagues takes daring and insight. If you can persuasively communicate to the insider as effectively as the outsider, you’ve accomplished something worthy. So that’s it. Just a reminder that sometimes the most elusive of challenges, mastering the business, can come from the unlikeliest of places: communicating to and for our colleagues in the organizations in which we operate. 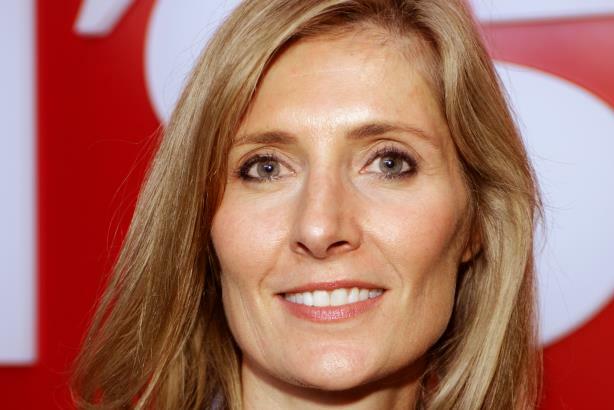 Kelly McGinnis is SVP and chief communications officer at Levi Strauss & Co.